LA Unified Superintendent John Deasy yesterday offered unqualified support for the proposed regulations governing how state money for public education will reach individual school districts. Speaking at a meeting of the California Board of Education in Sacramento, he said the new Local Control Funding Formula “strikes the right balance” between districts and the communities they serve, in ways that will benefit the neediest children. 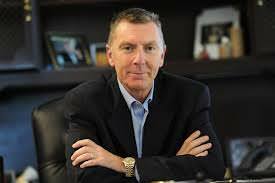 My name is John Deasy, and I am the Superintendent of the Los Angeles Unified School District. I’m here to strongly support the proposed LCFF regulations and LCAP template. The Local Control Funding Formula will improve education in Los Angeles by focusing on continuous improvement, setting ambitious and achievable goals, and ensuring our most vulnerable students receive the resources and services they need to realize academic success and lifelong learning. The LCFF encourages student achievement and educational equity by enabling those closest to students – parents, teachers, principals, and classified employees — to decide what’s best for students. LAUSD believes the current regulations strike the right balance between empowering districts to work with their communities to decide what’s best for our students, and ensuring that our investments prioritize the neediest children. In Los Angeles, we have spent the last few months establishing advisory committees and conducting town hall meetings to educate our communities about the changes resulting from LCFF. This effort included collecting feedback from over 10,000 survey responses. We are working with the California Endowment to have robust discussions with our parents, administrators, teachers, students, and community leaders about the state’s eight priority areas and to determine our local priorities. Despite experiencing devastating budget cuts the past several years, our district has continued to improve student achievement. We look forward to continuing on this path with sufficient resources, which will further help us overcome inequities faced by students in poverty, in foster care, or who are English Language Learners. The accountabilities in the proposed LCAP template provides us the opportunity to assure our community that their tax dollars are being well spent, while also providing a framework in which to measure achievement of our locally developed goals. I appreciate your commitment to implement the Local Control Funding Formula in a way that is balanced and is consistent with the measure that was passed by the Legislature and signed into law by the Governor. We urge your support for the regulations and the LCAP template that are before you today. Previous Posts: Governor Brown’s budget pumps billions more into school funding; Survey finds CA parents unaware they have a voice in school funding.